Directory of businesses below are based or owned by people in the Stony Point area. Give them a try before going downtown for a service! Stony Point Hair Design: Haircuts for all ages. For an appointment call Donna McDaniels at 978-3801. 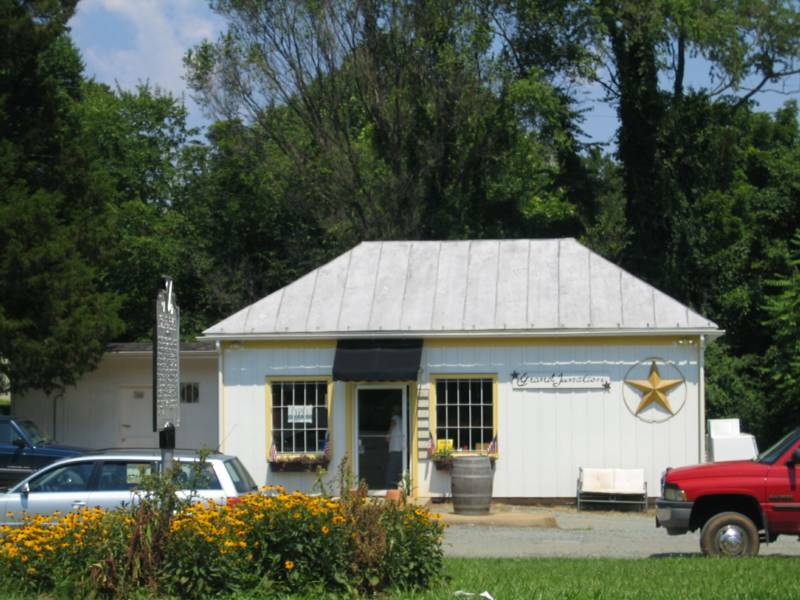 A local hand made soap business in the Stony Point area, carrying different soap bases including, Aloe Vera, Shea Butter, and Goat's Milk. Soaps are all natural and sulfate free with unique 3D mold designs. Also carry liquid soap and organic lip balms. Soaps range from 1.25-4.25 ounces. You can contact Brion or Jackie at Fancysoapsusa@gmail.com or call (434) 531-9107. Local Honey: Local, raw honey for sale, both a light and dark honey. $8 for a one lb jar and $15 for a two lb jar. ** Known for great burgers, subs and home baked goods. Weekly Dinner Specials on Thursdays from 4-7pm. Handspun milkshakes and other baked goods. Website: www.rachelzahumensky.com For pricing and appointments call: Rachel at (434) 960-0630. They will come clean your house or business weekly, bi weekly or monthly. Best prices around. If you are interested in their services, email gentlehandscleanin@gmail.com or check out www.gentlehandscleaning.com. experience in septic systems maintenance and installation, drainage solutions, and erosion control. Jefferson Plumbing is owned by Randal Amyett and is a full service plumbing and water conditioning company in Stony Point. Complete water filtration and free onsite water testing. Visit www.jeffersonplumbing.net or Call 434-218-DRIP for more information. Blue Ridge Roof Cleaning is dedicated to not only the restoration of your roof, but also to preserve the life of the roof for the people of Central Virginia. Our process of roof treatment does not diminish the quality of the shingles on your home like high pressure washing. Our soft wash technique is designed to restore the curb appeal and remove what's growing on your roof. Call us today to learn more about the process or just visit us on our website. green design, and historic preservation. Call or email at 434/973-9785, jtmarks@embarqmail.com. Examples of their work here. hard work for your money. KNH Landscaping LLC: Mowing and other services. Call Chris at 434-465-5296. Meriweather Mowing Service: Mowing, mulching, lawn treatments, pruning, leaf removal, gutter cleaning, etc. Time Disposal: Garbage and recycling pick-up. Learn more at www.timedisposalinc.com or call Gene Ware at 977-3339. 434-978-4602 and check out the website: www.TheCanineClipper.com for more information. In-Home Dog Boarding: Country home with a 4500 square foot fenced in backyard and 24 hour dog door access. Home to 4 canines of diverse breed and background from a persnickety chihuahua to a well socialized service dog. Dogs of all ages and with special needs considered. Last minute plans are usually not a problem. All dogs must be up-to-date on vaccinations. Unspayed females should not be in heat. References available upon request. Please contact Jamie at mrshedman@yahoo.com or by mobile at 434 465 8397. European Equine Services: Horse riding lessons and boarding. Visit www.europeanequineservices.com or call 434-242-6697. Agricom Buildings & Components - Horse barn specialist in the Stony Point area, in service since 1974.
do other types of sheds and buildings as well. For more information, contact: Bruce Draper, 866-804-2845 and 434-531-6759. Offers private piano, accordion, guitar, bass, banjo, mandolin, ukulele, and other string instruments. All ages/levels/styles welcome! Email metcalfemusic@yahoo.com for more information. How to play leads and How to play by ear in 3 genres. Lessons include materials. Located in Key West neighborhood, in practice for more than 10 years. Call Cheryl Coursey, PhD, LAc at 434-987-3387. On Track! Nutrition & Fitness Full service nutrition therapy, personal training, kickboxing classes, support groups, etc. Beth Monaco/Loring Woodriff Real Estate Associates: Specializing in Albemarle County & Charlottesville Residential Properties. finding your next home or selling your current one! Contact: Amy Bishop 434-882-4627 or sellingcharlottesville@yahoo.com. door and the way you can instantly envision your life unfolding there. for over twenty years. Call 974-7295. Look at their website. McWilliams Trucking: Call Dale McWilliams at mobile# 987-1892. Hauling stumps, gravel, dirt, sand and mulch. Dalton McWilliams: Bushhogging (land clearing) and tilling - 973-2567. M3-Marshall Contracting & Masonry: M-3 masonry contractors located on Doctors Crossing. Contact Stefanie or Shane Marshall at 434.974.7806. Website here. Dan's Excavating: Roads, water lines, ponds, clearing, septic, fill dirt and top soil. 434-531-8234. Special Construction Services: Building and Electrical contractor. specailconstructionservices@earthlink.net or 434-566-5873.
patios, sidewalks, retaining walls, fireplaces, chimney additions, chimney repairs, etc. 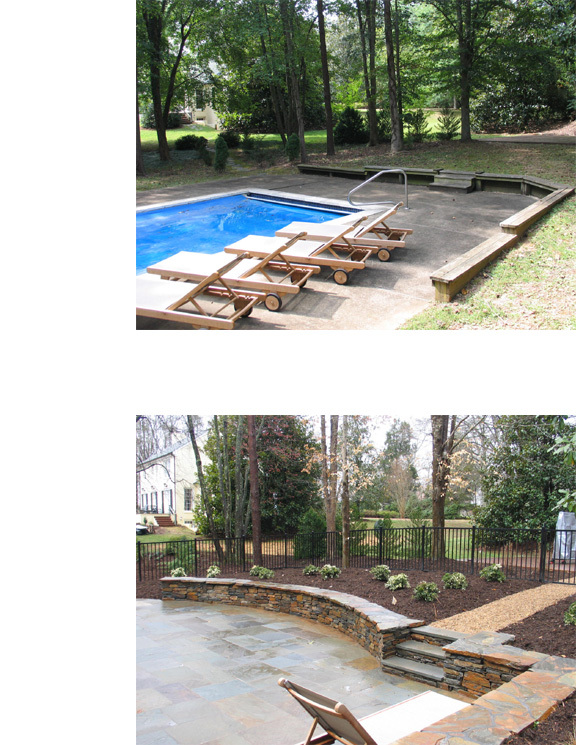 Call 434-960-4268 today for a FREE estimate! Home or business, call 978-3801. Residential Painting Interior - Exterior Licensed & Insured Call Greg Frazier at 434-531-3818 for a free estimate. Carpenter: 10 years experience - All aspects of carpentry. Call Robert Jarvis 434-409-4497. Stephens Woodworks - Contractor - Custom cabinetry, remodeling, decks, individual furniture pieces to order. 25+ years experience. Call 978-1009 for current schedule and to arrange for an estimate. Lam's Electric Over 30 years experience including residential, commercial, and industrial electrical work. "Give them a try before going downtown for a service!" services to both private and public sector clients. Call 804-647-7701 or email l.wuensch@epr-corp.com. See our website for more information about the services we offer www.epr-corp.com. Silpada Jewelry: Beautiful, high quality sterling silver jewelry and belts. Earn free jewelry by hosting a home party or catalog party. just call Independent Consultant Kate Barrett at (434)974-6738 or visit online at www.mycmsite.com/kbarrett to get started! Southern Grace Candles: 100% Soy Candles hand poured in Stony Point. Southern Grace Candles are in 16 oz Square Mason Jars and tied with homespun for a true country/primitive look! They burn even and clean and will envelop your home with hours of scent! Call 434-882-4627.
the new Lowes. They provide tire services, front end allignments, new tires, oil changes and general auto maintanence. vinyl signs for both residential and commercial. All signs are made in the USA. *If you refer business to us, you get 10% off your final invoice. artifacts or even a lost ring)? Email fayt@rodgame.org for more information. Mangham Manor Wool & Mohair Farm. Raising sheep and selling wool and mohair products for 25 years.